The IRTA Global Board of Directors and the managing body of Universal Currency, (The UC Committee), issued a report on October 4, 2014 that refutes Mr. Logie’s so-called GETS UC Audit Report, and concludes that UC is financially strong and setting trading and revenue records on a regular basis. 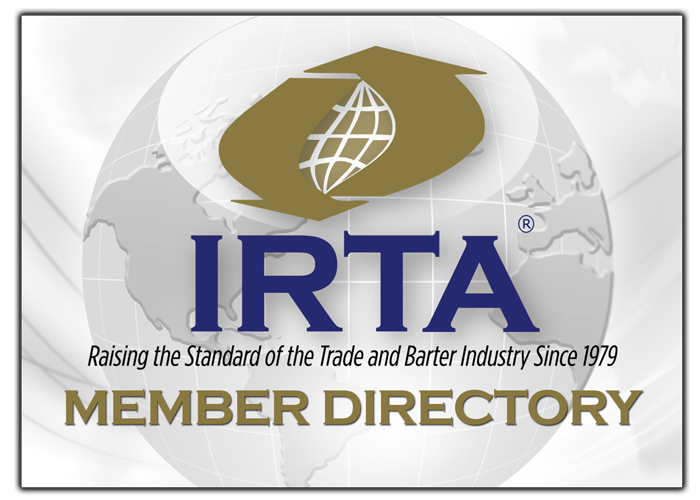 The IRTA Global Board/UC Committee Report has been posted on IRTA’s website since October 4, 2014 and has been referenced in numerous Think Barter Linkedin posts by Annette Riggs, IRTA’s President, in an effort to provide some balance in the material posted here. Despite this, you mentioned to me that you had not read the Global Board/UC Committee’s October Reports, therefore I have provided a direct link for you to do so HERE. In addition, Mr Logie hired Mr. John Attridge of BBX/UK to do an independent review of UC and Mr. Attridge concluded that no fraud existed in UC. Mr. Attridge communicated his “no-fraud in UC” conclusion in-person to the IRTA Global Board in its meeting in Cancun, Mexico on September 25, 2014. Contrary to the Dennis Smith erroneous blog posts that you have had listed as a “Manager’s Choice” for many months, UC continued operations in September 2014 seamlessly, despite GETS shutting-down the UC software with only 14-days notice in September in breach of the terms of the UC/GETS contract. In fact, UC set an all-time trading record for the month of September by posting 637,204.02 of barter transactions between its members. Recently there have been a lot of posts on Think Barter about the Dutch Courts decision in favor of TradeQoin’s defamation action against TradeXchange Netherlands, which Dennis Smith has chosen to ignore the core facts of, and even belittle the Court’s decision. Again, in the interest of managing a balanced Linkedin group that serves the barter industry, I would direct you to Mr. Smith’s response to the Dutch Courts decision titled “Credibility With Conspiracy 4” located on his website HERE. It is worth taking a look as we believe it speaks volumes about the credibility, or lack thereof, of the author.